LV21 was one of the 12 lead organisations on the INSPIRE ‘Leading through Culture’ Project, part of the Kent Schools Olympic Legacy Programme funded by Kent County Council, Artswork and Royal Opera House Bridge. Along with four other professional artists they invited me to deliver leadership workshops for the BIG Arts Challenge. INSPIRED FUTURES from Spaghetti Weston on Vimeo. The workshops took place both on the LV21 lightship, and in schools. The students explored what ‘leadership’ can mean for their age group and for them personally, and developed skills to help them enthuse and excite others and share learning. 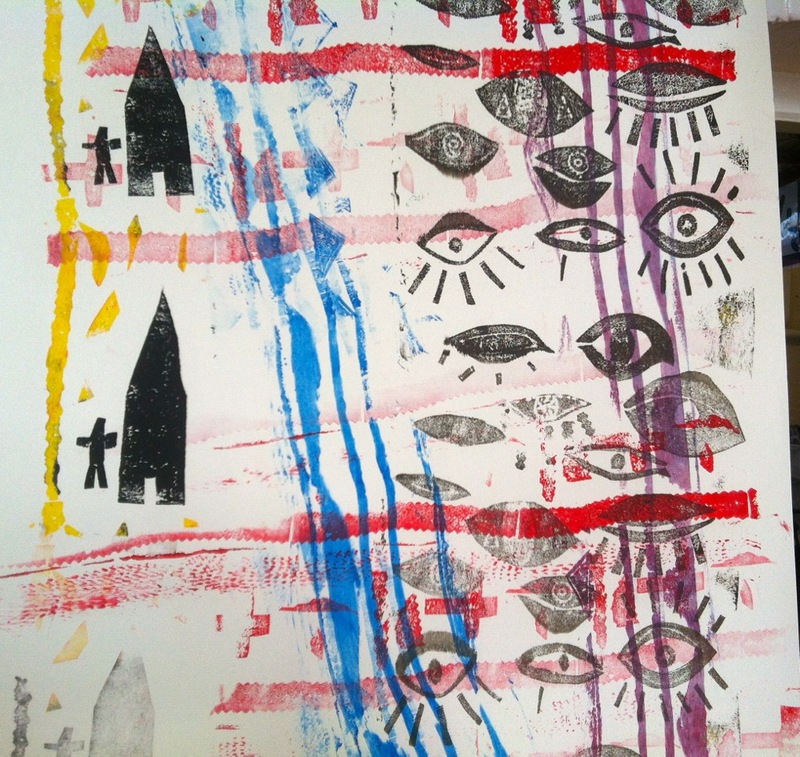 From the depths of the ship I helped each school group to develop a series of monoprints, using LV21 as inspiration. 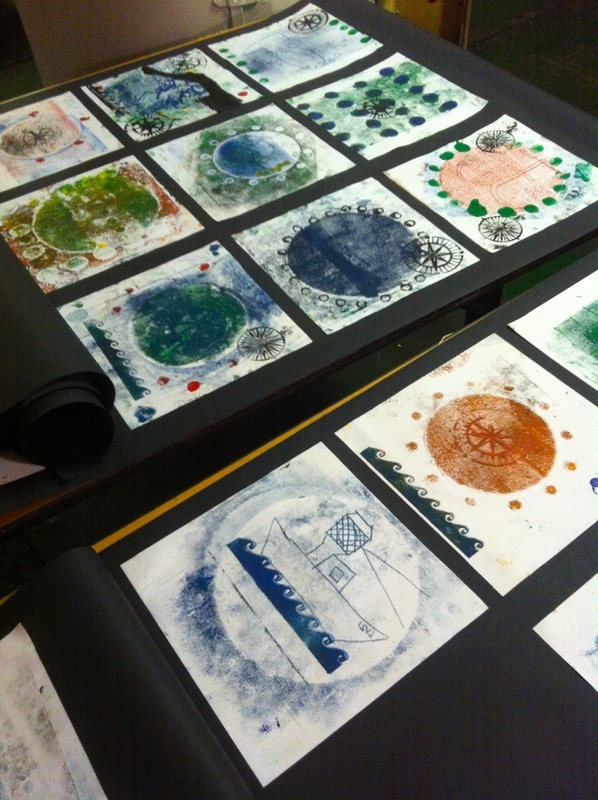 The workshops in school focused on collaborative large-scale prints using a relief method and rollers. Young leaders learnt how to make the prints and then taught other students.